Cincinnati, May 8, 2017 — Today, Reynolds Jet, a leading aircraft management and private jet charter services company headquartered in Cincinnati, OH, announces becoming a Certified B Corporation. They join a league of 2,100 certified B Corporation companies from across 50 countries and representing 131 industries. B Corporation certification is created by B Lab, a nonprofit organization that recognizes and supports a global movement of people using business as a force for good. This prestigious certification is a verified benchmark for companies using the power of business to create a positive impact – social or environmental – through responsible professional practices and the power of their markets. Make no mistake, Reynolds Jet is not a charity nor a non-profit organization; they are for profit. But what makes this company interesting – and unique to the whole air transportation industry – is what it does with the profit. Reynolds Jet donates 100% of its net profit, from both their aircraft management services and on-demand private jet charter flights, onto a Private Jet Card to provide air transportation for certain economically challenged patients of families of Cincinnati Children’s Hospital, who reside outside of Cincinnati. Reynolds Jet makes the travel arrangements directly with these patients and families. For many companies, doing good may take a back seat to making money. But not for certified B corps. A B Corp is to business what Fair Trade certification is to coffee or USDA Organic certification is to milk. Unlike traditional corporations, Certified B Corporations are legally required to consider the impact of its decisions on employees, suppliers, consumers, the community and environment. B Lab certifies for-profit companies based on how they create value for non-shareholding stakeholders and they must also meet rigorous standards of social and environmental performance, transparency, and accountability. The certification helps customers and consumers identify the change makers. Since 2008, Reynolds Jet has established itself as one of the leading private jet charter and aircraft management companies by consistently providing exceptional boutique services and unparalleled quality to its customers. Large operator expertise, systems and knowledge fused with small operator agility, focus and attention to detail are among the key drivers for Reynolds Jet to consistently outperform any other in the business. 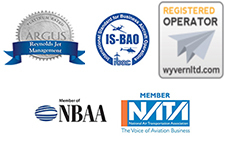 The company’s operations are classified with the ARGUS International Platinum Rating – recognized as the ultimate validation of operational excellence and flight safety best practices – and holds IS-BAO Stage II registration, a set of performance-based and process-orientated standards recognized throughout the world. Reynolds Jet headquarters are based at Lunken Airport, Cincinnati, OH and has offices in Austin, TX. It is the largest operator of Lunken Airport-based aircraft, and the Reynolds Jet managed fleet available for private jet charter currently stands at seven aircraft, across the large, super-midsize, midsize and light jet categories. Reynolds Jet is a B-Corp certified company doing business as a force for good, by meeting rigorous standards of social and environmental performance, transparency, and accountability. The certification helps customers and consumers identify the change makers. News and information are available at www.ReynoldsJet.com. Cincinnati Children’s, a nonprofit academic medical center established in 1883, is one of the oldest and most distinguished pediatric hospitals in the United States. Cincinnati Children’s consistently ranks among the best pediatric cancer care centers in the nation. As one of the country’s largest referral centers, we care for nearly 7,000 families each year, specializing in some of the most rare and devastating childhood cancers that other institutes cannot treat. We continue to lead the way in providing cutting-edge cancer care while conducting the most advanced research possible. All of this makes us a true destination for families who receive the worst news they could possibly imagine. Certified B Corporations are leaders of a global movement of people using business as a force for good. They meet the highest standards of overall social and environmental performance, transparency and accountability and aspire to use the power of business to solve social and environmental problems. There are more than 1800 Certified B Corporations in over 130 industries and 50 countries with 1 unifying goal – to redefine success in business. Inspiring millions to join the movement through compelling story-telling by B the Change Media. New Look Reynolds Jet Website goes "Live."